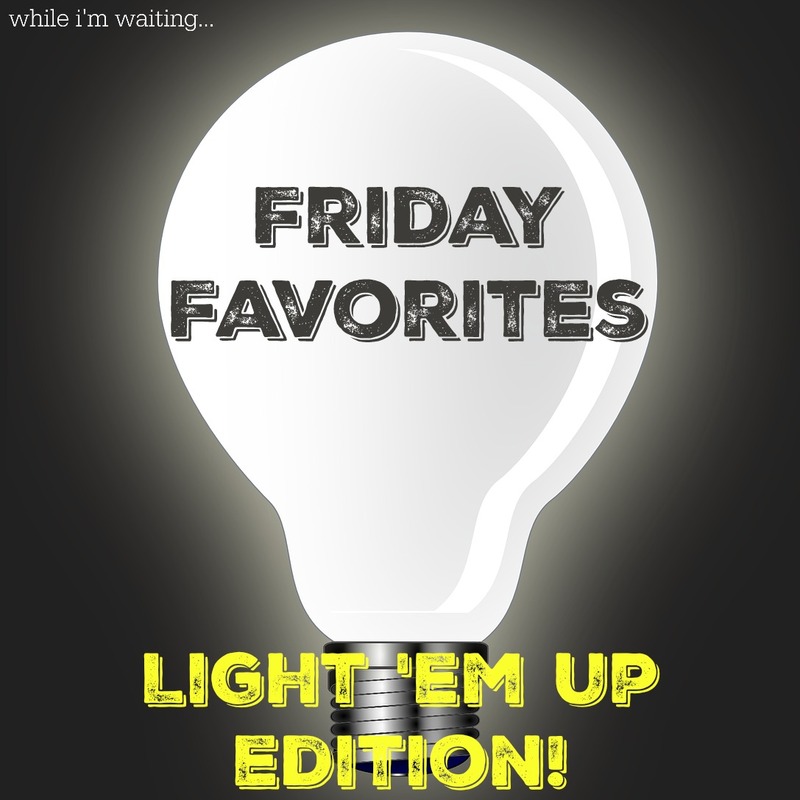 While I'm Waiting...: Friday Favorites - Light 'em Up! Friday Favorites - Light 'em Up! Have you ever been going along and then - BAM - you've got something that you are so passionate about that it consumes all your thoughts?! Please tell me it's not just me! :) This past week a few things have come up that I absolutely could not wait to share with you guys!!! Today's Friday FAVORITES are all about ways to "light 'em up" (or that just make me smile!)! If you have been around here for any amount of time, you know I have a girl crush on Courtney DeFeo. You might remember her from a few years ago when this post went viral. I love Courtney's heart. She loves people so well! I was geeked out excited when she posted this year's Light 'em Up post. In case you are wondering, according to Courtney, "Light 'em Up is a movement of families lighting up the world with kindness. It doesn't matter your age, location or means, we believe each person can impact the life of another. With a simple thank you or expression of love, your one act of kindness can start a ripple effect that goes well beyond one neighbor." This year she released a video too. Watch it and tell me you weren't ready to run out and do kind things afterwards! 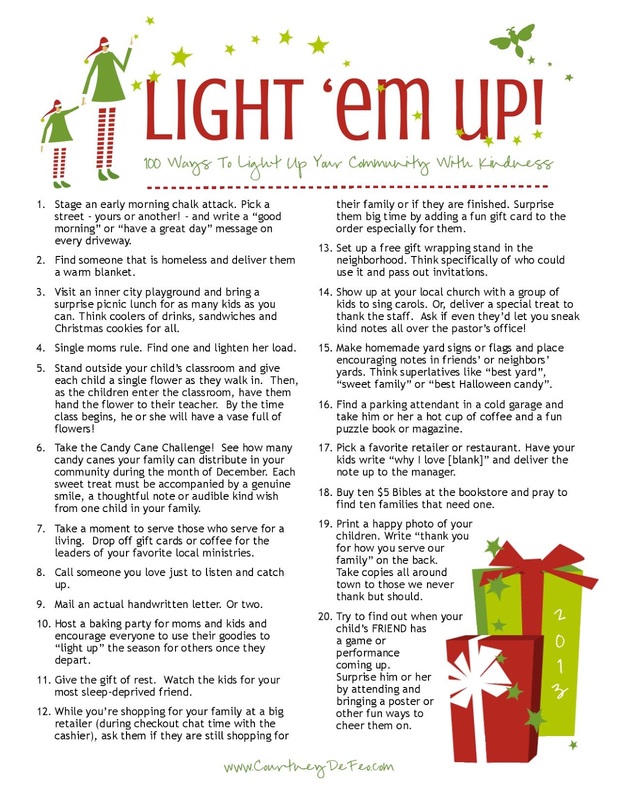 I got so fired up I even created a Light 'em Up Facebook page for our area - a place where we can share places for families to serve together, help out, or easy ways to spread a little kindness. I have SO many things I want to share!!! Check out the #LightEmUpActs on Instagram for inspiration from other families! 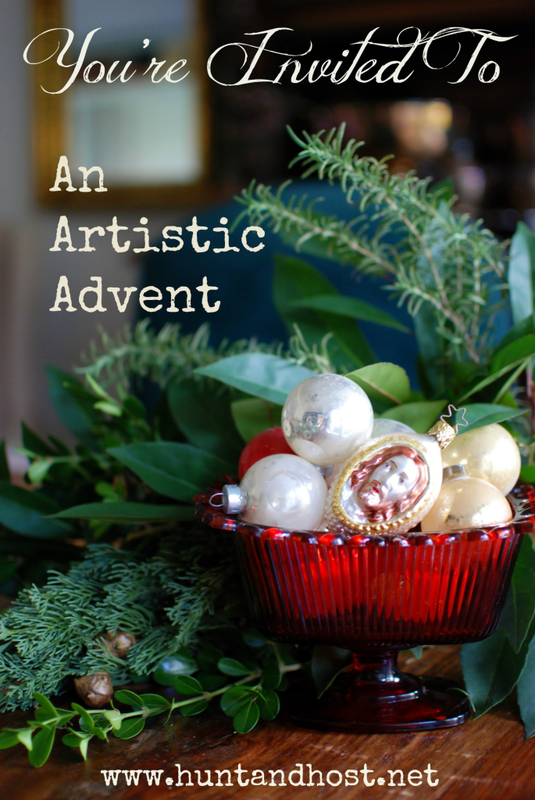 Looking for ideas? Courtney has 100 ideas to get you started! Today is Kimber from Let's Do Some Good Today's birthday!!! HAPPY BIRTHDAY, KIMBER! And, guess what she's asking for on her special day? You guessed it! 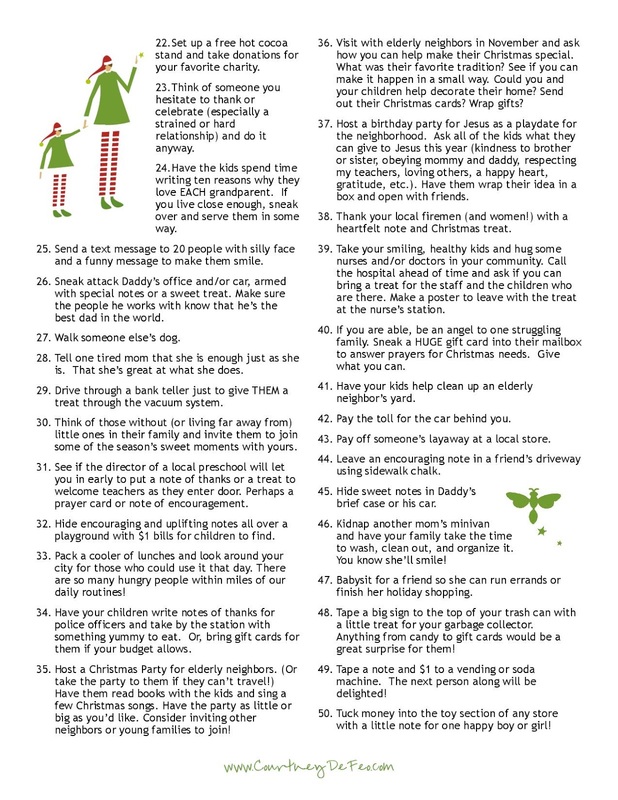 For the rest of us to do an act of kindness. I LOVE this!!! There are only a few requests I have for this challenge. The first: Do something that you would NOT normally do. We’re going out of our way to bring happiness to the life of a stranger. And my other request: will you please come back and let us know what you did? (You can leave a comment on the post that will be up, you can comment on our Facebook page, or if you want to be totally anonymous, you can e-mail me at LetsDoSomeGoodToday@gmail.com.) There are two reasons for that. One, it’s awesome to learn from one another’s ideas. And two … there’s such an awesome sense of community that forms when people from all over come together to do good things. It’s amazing. And I’m SO excited already. Sometimes when I’m doing something kind for a stranger, one of the most awkward things is explaining what I’m doing in a way that makes it clear that I’m not trying to get anything out of them. If this makes you nervous, this might help: Often I print off a little handout (like these free Butterfly effect printable tags) to hand out to people. 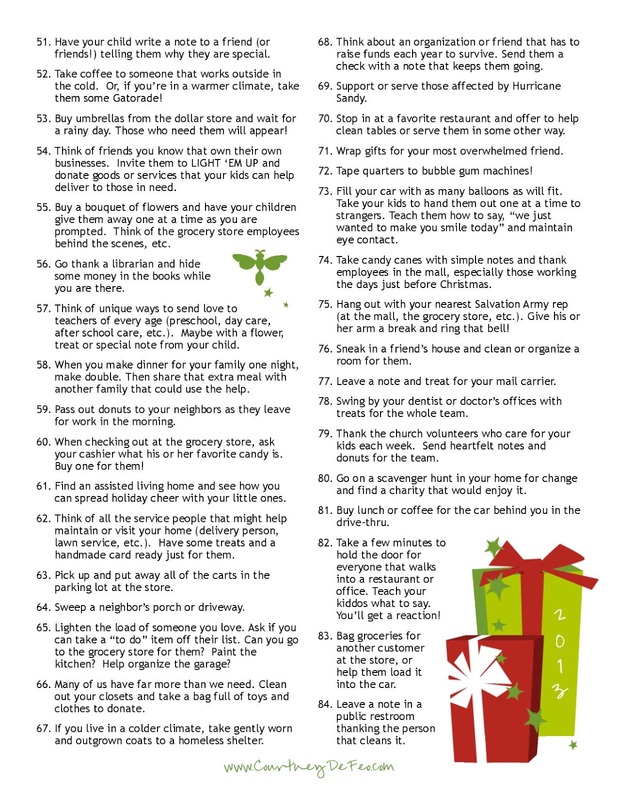 So if you wanted to give a stranger a gift card, you could just smile, hand them the gift card and this little printable card, and say something like “I’m participating in a kindness challenge today. This is for you. If you can, do something nice for a stranger and pass it on. Have a great day!” Smile again and walk away. And that’s it! 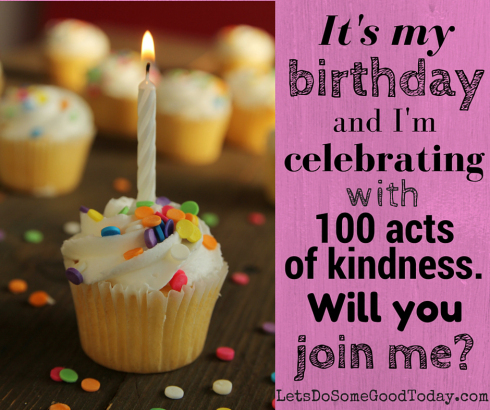 Let's Light 'em Up and share some kindness for Kimber's birthday! Kim from Hunt & Host has invited us all to be apart of an advent series/book club/craft event and I can't wait. Would love to have you join us!!! 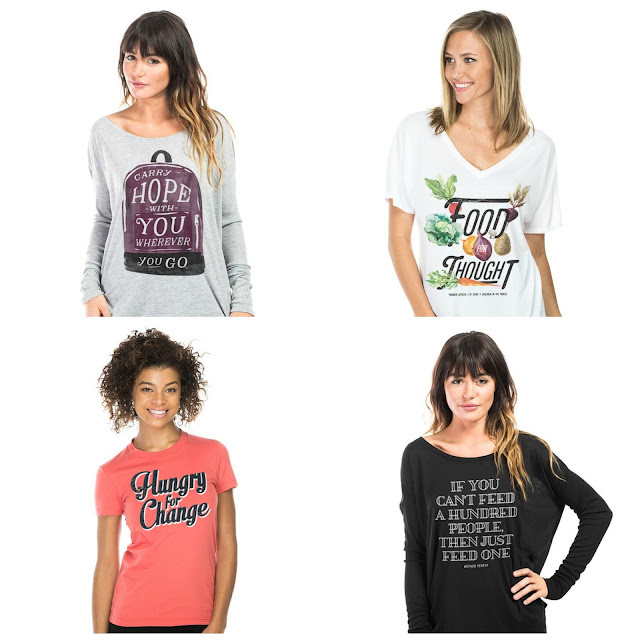 I love shopping with a purpose and Sevenly makes it really easy! This week they are partnering with Feed the Children to support hungry kids in the U.S., and all over the world. Each purchase will help fill backpacks with school supplies, personal care items, and food, distributing them to kids who would otherwise have empty stomachs and lockers. Do you have someone on your Christmas list that loves graphic tees? These would make great gifts! Have you heard of the app Voxer? It's this neat walkie-talkie voice text message system. I know, I know, at first I was, "um, regular text messaging is just fine with me"! But, it was my friend, Melissa, who told me all about it. She is a ray of light and every time we talk on the phone, I leave with a pep in my step and a smile on my face. I downloaded the app but honestly thought I would never use it! Leave it to Melissa to change my mind! She quickly left me a message and it made me literally LOL! And then we went back and forth giggling like school girls. Normal text messages lose the silliness that real voices can conjure up. So, try it - you just might like it! I hope you have a wonderful day and a weekend filled with your FAVORITE things (and don't forget to #LightEmUp)! Wonderful idea! Where to start, where to start? Thank you, Rachel! I love that they switch things out each week! They also have a pretty awesome Cause Box that I absolutely adore!!! Thanks so much for stopping by! Hope you have a wonderful week! 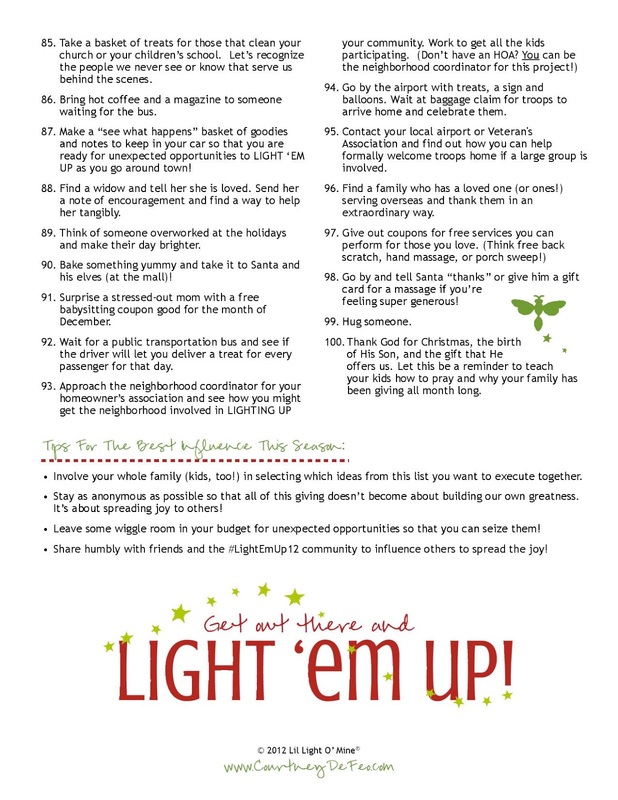 I love all these ideas, especially Light Em Up! I teared up watching the video! I will print those pages off for some ideas of how my husband and I can show kindness to others! I'm glad I'm not the only one! Tears fell down my face while I was watching! Let's get out there and Light 'em Up!!! Thanks so much for stopping by! 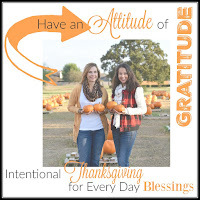 Hope you have a wonderful Thanksgiving! the Light Em Up ideas are great! Thanks for sharing! Thanks so much! Our world could definitely use a little lighting up! ;) Thanks for stopping by! Hope you have a great week! what is UP! it's your girl crush here!! lol. you are cracking me up. i'm just loving you. thanks for all your support of light em up! keep up the great work sister. Haha! I don't think there's any way to prove it but I'm pretty sure your original Light 'em Up post was one of the first things I pinned to my Pinterest account! I just love your heart and how you love out loud! Thanks for the inspiration! I am constantly amazed and overwhelmed by your goodness. If we could all just live with half the intention that you do, friend, well... this world would be a much better place. Ah, thank you so much, sweet friend! It sounds cliche' but it's really true - I feel the most alive when I'm doing this kind of stuff. I truly, truly feel like it's my calling!